Randy Snider and his "Faw Faw". In 1992, two year old Randy Snider and his Grandfather shared some fun. He loved Randy so much and Randy was always so affectionate and loving. Now they are both together again in heaven. RIP. Visit CysticFibrosisUSA and learn more about their efforts to raise awarness and support for all CF patients and their families. Adding tommorrows everyday! Then visit The Thomas Randall Snider Memorial Channel. In 2001, 11 year old Randy Snider wins not only a first place rating but wins first in state for his history and social studies efforts. Randy drives for the first time! In 2001, 11 year old Randy Snider learns to drive for the very first time. He's driving a vintage 1981 Oldsmobile Cutlass Supreme down in the country. On May 12, 2015, Food and Drug Administration Advisory Panel Voted 12 to 1 to Recommend Approval of ORKAMBI™ (lumacaftor/ivacaftor) to Treat People with Cystic Fibrosis Ages 12 and Older Who Have Two Copies of the F508del Mutation. ORKAMBI was developed by Vertex Pharmaceuticals Inc., with scientific, clinical and significant funding support from the Cystic Fibrosis Foundation. The drug is a combination of ivacaftor (Kalydeco) and lumacaftor, two separate drugs taken as one pill. Both drugs are designed to address the underlying cause of CF — a defective protein, called CFTR, produced by mutations in the CF gene. Visit the Cystic Fibrosis YouTube channel, CysticFibrosisUSA, to view the latest videos from the Foundation and learn about CF from those living with the disease. The Cystic Fibrosis Foundation has created a TV channel on YouTube speicifcally about Cystic Fibrosis to broaden awareness for CF and to encourage more people to support our mission to help develop new treatments and advance the search for a cure for this disease. Vertex isn’t a conventional pharmaceutical company. Each and every person at Vertex is driven by a passion for fearless innovation and a bold desire to transform the lives of millions with new medicines. 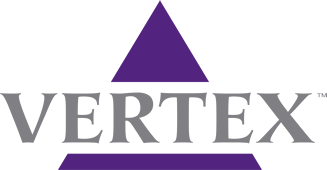 Vertex has ongoing worldwide research programs and sites in the U.S., U.K. and Canada and employs over 1800 people. Vertex Pharmaceuticals Inc. scientists and our collaborators are working on new medicines to advance the treatment of cystic fibrosis, hepatitis C, epilepsy and other life-threatening diseases. Learn more about Vertex, Kaydeco. The world’s leader in the search for a cure. We fund more CF research than any other organization, and nearly every CF drug available today was made possible because of Foundation support. The Foundation's drug development model has been recognized by Harvard Business School and by publications such as Forbes, The New Yorker, and Bloomberg BusinessWeek. CysticFibrosis.com is a social health community, founded in 1996 at the dawn of the Internet and the rise of the e-patient — the electronic or empowered patient. It is a source of information, hope, and encouragement for patients and families affected by CF. We educate each other in comprehensive and innovative ways: forums, chats, videos, newsletters, polls and blogs. We are patients and families from all over the world, sharing our experiences with CF and gaining power over our disease and our futures. We are joined together to grow our knowledge and reach amazing goals. Please join our community and our movement--together we are building knowledge and reaching for a cure. Please join us! The Cystic Fibrosis-Reaching Out Foundation, Inc. 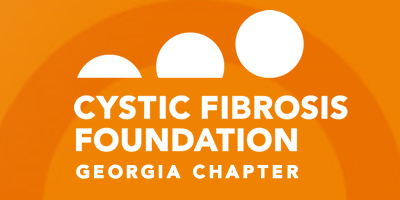 The Cystic Fibrosis-Reaching Out Foundation, Inc. was formed because a CF Adult recognized a need among CF patients and families for information and support. Thus, she started a newsletter called "Reaching Out". For years she campaigned and raised money for the Foundation's research efforts to find the cure for CF. After watching many of her friends die and having observed diminished quality of life during their illness, she realized there is much work to be done while waiting on a cure. This is the impetus for the Foundation. It is a 501c3 organization and all donations are tax-deductible. Please join us and give! Randy Snider was a huge fan of Halo and played all the time. It offered an escape from daily struggles of CF. Ironically, the word "halo" is Greek/Latin for "salt". Salt plays a key role in cystic fibrosis. A CF gene creates a defective protein that prevents the proper flow of salt and fluid in and out of a cell. As a result, mucus forms in the lungs, intestines and other parts of the body and creates many serious health problems. In essence, CF is a war on salt or "Halo" war. Randy bravely battled cystic fibrosis the same way he battled Halo. He was the Halo "Master Chief" and a master of game but eventually lost his battle with CF. There was no replay. In his wake, he left many items from Halo he gathered over the years. So in his honor, we give great tribute to a fine young man who loved life and loved the game of Halo. Halo 5: Guardians E3 2015 kicked off Microsoft's Press Conference at E3 2015 event with a very interesting introduction, Halo 5 Campaign Gameplay, Halo 5 Campaign Trailer, Halo 5 Multiplayer Gamemode "War Zone", with Halo 5 Multiplayer Gameplay! 343 Industries accounces Halo 5 as the next blockbuster installment in the iconic franchise. Peace is shattered when colony worlds are unexpectedly attacked. But when humanity's greatest hero goes missing, a new Spartan is tasked with hunting the Master Chief and solving a mystery that threatens the entire galaxy. Efficient Approximations for Learning Phylogenetic HMM Models from Data - Microsoft Research considers models useful for learning an evolutionary or phylogenetic tree from data consisting of DNA sequences corresponding to the leaves of the tree. They apply this approximation to data from the CF Transmembrane Conductance Regulator (CFTR) gene region across nine eutherian mammals and, in doing so, identify a CpG effect (high mutation rate of CG to TG, due to methylation and spontaneous deaminiation). The Cystic Fibrosis Foundation and Kalydeco. The Cystic Fibrosis Foundation joins forces with Vertex to save lives with Kalydeco. The Cystic Fibrosis Foundation is working harder than ever. The Cystic Fibrosis Foundation is working harder than ever to support patients and families by raising suppor tand awareness. The battle continues with Cystic Fibrosis. Randy Snider loved the game of Halo. It offered an escape from the stuggles of cystic fibrosis. Ironically, the word "halos" is Greek/Latin for "salt" and salt plays a key role in cystic fibrosis. Randy Snider was a huge fan of Halo. Ironically, the word “halo” is Greek/Latin for “salt”. Salt plays a key role in cystic fibrosis. A CF gene creates a defective protein that prevents the proper flow of salt and fluid in and out of a cell. As a result, mucus forms in the lungs, intestines and other parts of the body and creates serious health problems. In essence, a war on salt or “Halo” war. Kalydeco helps unlock that gate and restore the function of the defective protein, dramatically improving lung function, lowers sweat chloride levels and helps patients gain weight. Give to the Cystic Fibrosis Foundation. Give to the Cystic Fibrosis Foundation. It is the world’s leader in the search for a cure for cystic fibrosis. They fund more CF research than any other organization, and nearly every CF drug available today was made possible because of Foundation support. 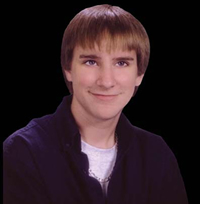 © 2005-2013 RandySnider.com is a memorial website for Thomas Randall Snider and is not affiliated with the Cystic Fibrosis Foundation, Vertex, the makers of HALO (Microsoft Studios) or other CF-related organizations. Halo ® -- A registered trademark of Microsoft Games and is not affilitated with Cystic Fibrosis Foundation, Vertex or other CF-related organizations. Get the latest cystic fibrosis news and info on the fight for the cure. Since 1955, the CFF has been the driving force in pursuit of a cure. Welcome to the Cystic Fibrosis Foundation Channel on YouTube.